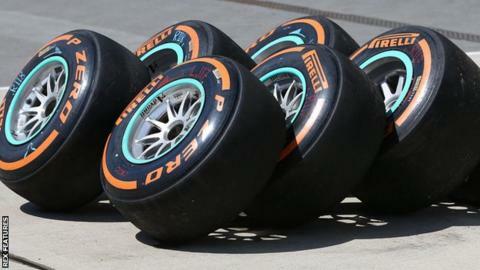 Drivers want the tyres to support "maximum-attack racing"
Formula 1 boss Bernie Ecclestone has backed a demand from drivers for higher-performance tyres. He told BBC Sport that "most drivers" wanted a shift away from the current tyres because they can rarely push to the limit on them. Ecclestone said he agreed "a million per cent" that F1 should be about drivers racing flat out at all times. "I have already told Pirelli that," he said, adding the issue would be discussed at a meeting next month. However, he also defended F1's supplier, claiming the teams needed to help Pirelli with its tyre development. "The bottom line is Pirelli supply the tyres in F1, they are the tyres we should use and the teams and drivers should work with Pirelli to perfect the tyres," Ecclestone said. What has prompted Ecclestone's comments? Ecclestone's remarks follow those of Grand Prix Drivers' Association chairman Alexander Wurz. He told BBC Sport earlier this week that the drivers wanted to "help and support Pirelli to construct a tyre fit for maximum-attack racing". The drivers' intervention came amid concerns among senior figures in F1 that problems with the tyres could undermine planned rule changes for 2017 aimed at making the cars faster and more dramatic. These have already been watered down after Pirelli said its current tyres could not cope with the increased car performance without being run at what teams would consider extreme pressures. 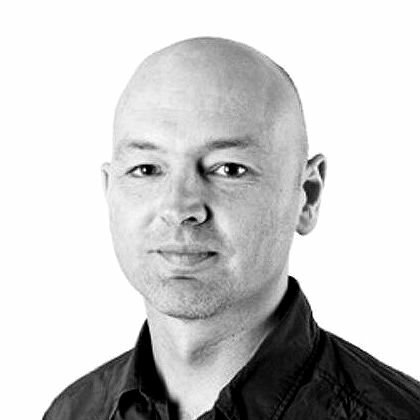 One senior insider told BBC Sport, on condition of anonymity, that the tyres and Pirelli's refusal to say anything was wrong "are a big problem" and that "people are really upset". This has led to a meeting, at Pirelli headquarters in Milan on 2 February, that will feature all the sport's major stakeholders. "Whatever drivers want to turn up can turn up," Ecclestone said. "Whatever teams want to turn up can turn up. It will be the president of Pirelli who is there, not a messenger." Pirelli's tyres for the 2016 season, which starts in Australia on 20 March, have already been designed and will have the same characteristics as in recent years. But Pirelli motorsport boss Paul Hembery said his team were ready to listen to suggestions but said any solution had to satisfy everyone. "We need clear direction," he said, "and going forward from there we need to extensively test any solutions." Although Pirelli signed up to F1 on the basis of there being restrictions on testing, Ecclestone said teams were putting the company in an impossible position by their reluctance to help with development. The 85-year-old said he wanted to see the top three teams and their top drivers putting work in, adding: "I want someone who can drive on the limit who can come back with an answer," he said. "Pirelli agree with me 100%. That's what they have asked for - a top team with top drivers, not a team that can't push to the limit and certainly not a driver who can't." Pirelli's contract expires at the end of 2016 but Ecclestone announced at the Russian Grand Prix last October that it would continue supplying tyres until 2019 after beating off competition from Michelin. Asked about claims the new deal was not yet signed, he said: "It has been agreed. I don't know whether I have signed, or it's signed. "The funny thing with the president of Pirelli and myself, we shake hands on something and that is like a signature as far as I am concerned and as far as he is." Ecclestone admitted some teams would like to switch to Michelin but said he had rejected that idea. "They wanted to run F1," he said of Michelin. "They wanted to say exactly how everything should be run". He also said he was worried the criticism of Pirelli could drive the company away from F1. Should that happen, he said, it would leave F1 in an "impossible" position with just a few weeks to the start of a new season. Pirelli became F1's tyre supplier in 2011 with a commission from Ecclestone to ensure multiple pit stops in races. The mechanism it has chosen to do this is a phenomenon called 'thermal degradation', which means a tyre is permanently damaged if it goes beyond a certain temperature. Drivers have to cope with this by ensuring the tyres never reach that threshold, but that means driving well below their maximum performance for the vast majority of a race. Sometimes, they cannot even push flat out on a single qualifying lap.